Koi fish are fish that are mainly breed in Japan. They are part of the carp family but due to decades of breeding by the Japanese, they have mainly adopted the orange and white color which symbolizes tranquility in Japan. The Japanese have developed shows for this fish which showcase their immense beauty. It was only in 2017 when a breeder in Japan sold his koi fish for around 1.8 million dollars making it the most expensive pet fish in the world. 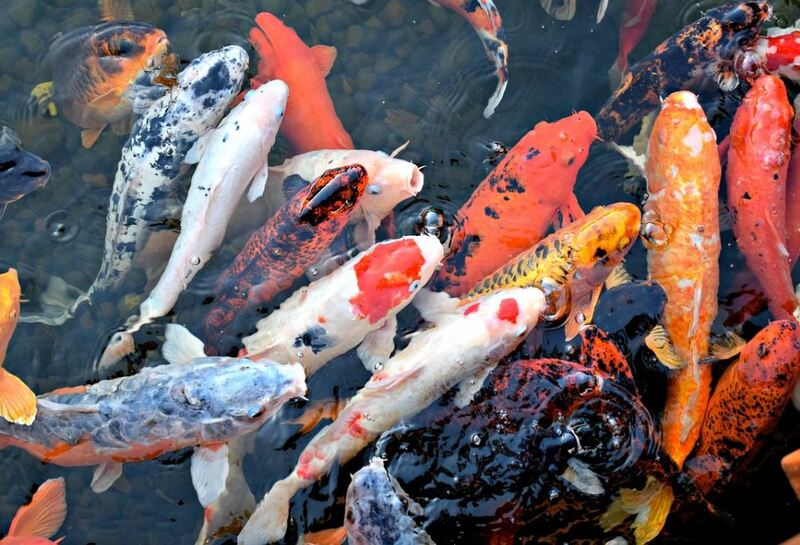 The best koi fish are distinguished by their good pattern in color. The Japanese have used selective breeding to exploit the fish’s color to make it look quite beautiful. •	The Kohaku; this fish has a solid white base with patterns of red overlaid on top of the white. To know that it is of top quality, make sure that the fish displays a bright blemish free white combined with deep vibrant red tones. The variations for this type include; the Doitsu Kohaku, the Gin Rin Kohaku, and the Tancho Kohaku. •	The Showa Sanshoku; This is a koi fish with a white red or orange patterns over the top of a black base color. It usually has black patterns on the head. To know that the fish is of high quality, ensure that the red white and black are balanced evenly about the body with evenly crisp clean edges between each color. The variations include; The Tancho Showa, the Maruten Showa the Gin Rin Showa and the Kin Showa. •	The Tancho; this koi fish has only one red pattern which is a single red dot on the top of its head. The symmetry and placement of the Tancho mark are the main factors when determining its quality. The Tancho make can also appear on other varieties of the koi fish. •	The Taisho Sanke; These are another popular koi fish that have a solid white base overlaid by patterns of both black and red. The high-quality Sanke begins with a great Kohaku pattern to which the black is a welcomed compliment. Their variations include; Doitsu Sanke, Maruten Sanke, and the Tancho Sanke. •	The Shiro Utsuri is a koi with a black base overlain by white areas. A high-quality one will combine clean white patterns with a deep lacquer-like black. A split head of both black and white is also a show of top quality variations include; Gin Rin Shiro Utsuri, Gin Shiro Utsuri, and Doitsu Shiro Utsuri.